Many of the best ventures are the result of a happy chance encounter. Such was the way for Prosper and Martine Assouline. To the then art director/advertising executive and model-turned-attorney (respectively), their first book La Colombe d’Or was simply a personal tribute to the legendary French Riviera hotel they loved so much. Fifteen hundred plus books and over 20 years later, it seems the pull to revel in and immortalise life’s pleasures was much too strong. The couple – who divide their time between their home, Paris, and their business home, New York – have spent the last two decades documenting the world’s most prominent lifestyle themes, art and design figures and illustrious brands. 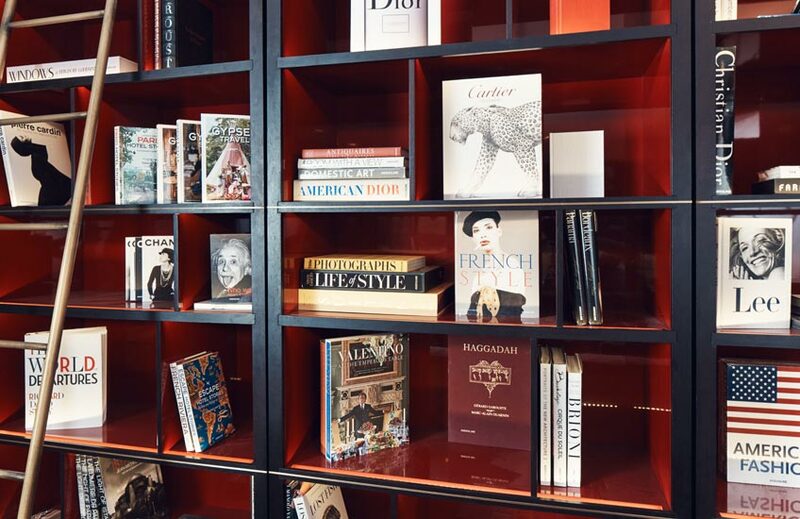 Luxury hotels continually turn to them to curate their libraries and icons (including Cartier, Elie Saab, Dior and friends Valentino and Jackie O’s sister Lee Radziwill) look nowhere else to commission tomes. 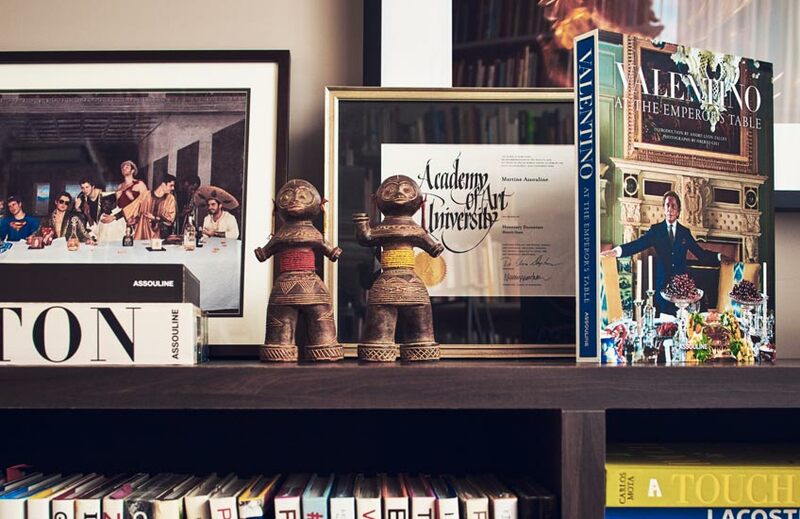 Their genuine love for exploring and preserving the world’s finer things through books, as well their signature savoir vivre – the knowledge of how to live (and live well as is the case with the couple) – is their calling card. “I learned from Prosper that every moment is important in life”, the Ivory Coast-born, Peru and Argentina-raised Martine acknowledges, in English although she switches to French and Spanish regularly. With her statement Balenciaga sunglasses and sophisticated silhouette, she cuts a commanding editorial figure; her discerning words having graced the pages of Assouline creations since day one. Prosper – the playful counterpart to the demure Martine – is the brand’s creative director. He draws inspiration for new book subjects from his extensive archives, found at the back of the office they share with their youngest son, Alexandre (it really is a family affair) and the rest of the team. 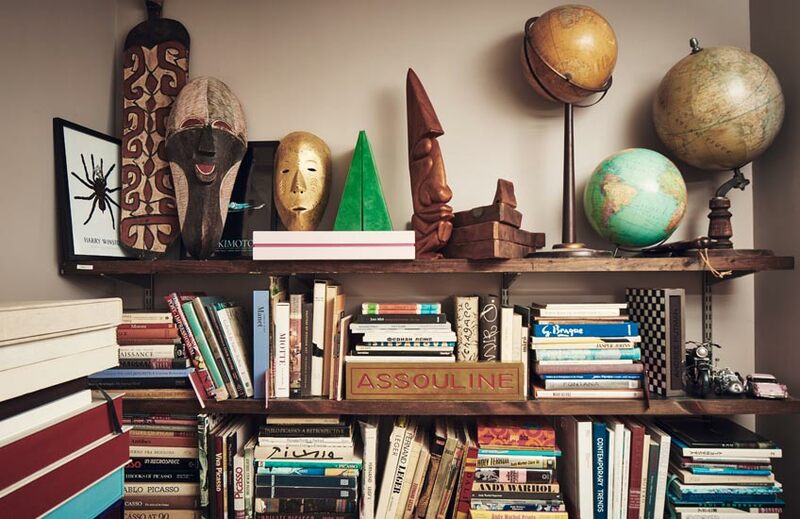 Past Prosper’s Seoul and Seville rooms, the locked room is overflowing with wooden African masks, art books, car models and antique globes, proving the veritable lifeblood of the Assouline genius. Or, more accurately, what the room represents is, which is Prosper and Martine’s collective knowledge of all that la belle vie has to offer. “As André Malraux [French writer and onetime Minister of Cultural Affairs] used to say, ‘Culture is…what makes man something other than an accident of the universe’,” Prosper waxes lyrical. If culture is the tool, then the Assoulines are the craftsmen. Their contributions ensure that life’s most enjoyable offerings are not only recorded but celebrated through carefully hand-stitched, collectible volumes (they’re not called “the most sophisticated books in the world” for nothing). Whether she and her husband knew it at the outset or not, the Assouline vision was always destined for more, even, than Martine and Prosper’s precious monographs. Their product range – which now includes candles, objets d’arts and antiques – is found in their boutiques around the world, from Istanbul to Lima. And, of course, there’s the striking Piccadilly flagship – Maison Assouline ­– which also proffers unique furniture and an in-store bar. Luckily, for the rest of us, the Assoulines are more than happy to take people along for the ride.